Any avid cryptocurrency enthusiast has heard about the new cool kid on the block, BitConnect – a bullish Bitcoin lending investment platform with a bludgeoning user base and a bullish market cap of over $2 billion. But despite its stunning success, the company, which launched through an initial coin offering (ICO) in late 2016 and quickly established itself as one of 2017’s top performing cryptocurrencies, continues to attract hordes of naysayers for its lending scheme. BitConnect follows a four-tier investment system based on your initial deposit – the more cash you put down, the bigger and faster returns you make on your investment. But whatever the stake, lenders are guaranteed to earn up to 40 percent total return per month, which amounts to about a one-percent ROI per day. As you can imagine, this cocky assurance has been greeted with a fair degree of skepticism from the crypto community. Seeking answers about the legitimacy of BitConnect, one concerned Twitter user under the moniker of Ponzi Crypto Coins asked Ethereum founder Vitalik Buterin and Litecoin creator Charlie Lee to chime in with their expertise. Why are crypto experts like @VitalikButerin and @SatoshiLite not speaking out their concerns about Bitconnect? They could make a difference! 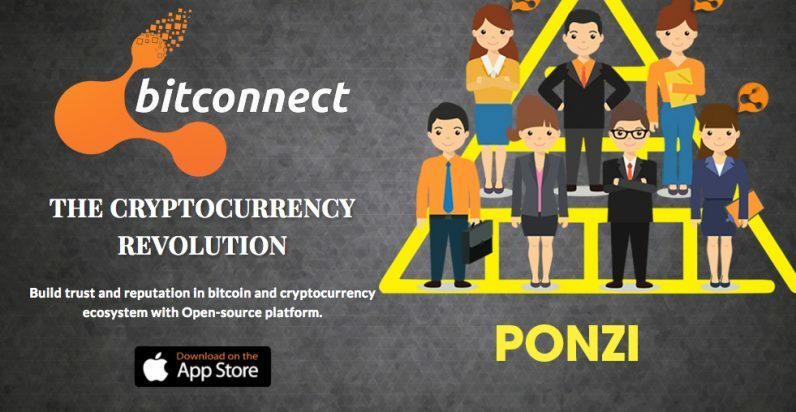 While Buterin initially said he was not familiar with BitConnect, he was quick to point out that the investment system does indeed resemble a Ponzi scheme. Vitalik’s comment has since sparked heated discussions on Reddit where crypto-enthusiasts are comparing BitConnect to another Bitcoin lending investment alternative, Bitpetite, which has long been accused of running a similar scam. In fact, earlier this week Bitpetite suddenly went dark, along with all of its investors’ moolah. The company, which promised “147 percent total return for 6 weeks,” had initially warned users its website would experience between one and three hours of server downtime. For context, this marked the third time the website struggled with server issues within the past three weeks. Contrary to the one-to-three hour guarantee though, Bitpetite’s website eventually completely disappeared, with numerous users reporting being unable to connect to it at all. Since then, the suspect lending platform has purged its social media fingerprints, closing its Facebook, Telegram and Twitter accounts. Be sensible, cryptomaniacs, you know what they say: All that glitters is not gold. Instant update: Just before we wanted to publish this piece, BitConnect’s market cap dropped from $2 billion to under $600 million, according to Coin Market Cap. We’ve reached out to both BitConnect and Vitalik Buterin and will update this post accordingly if we hear back. Update: The huge dip in BitConnect’s market cap is due to a “[r]evised circulating supply calculation,” according to Coin Market Cap. As Buterin pointed out to TNW over email, it has not affected BitConnect Coin’s price.